Oh my goodness I am super excited about this post! 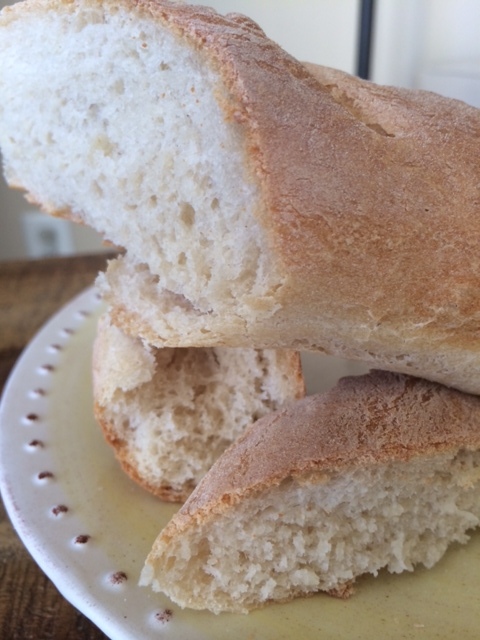 I spent this past Sunday afternoon taking myself back to Paris momentarily by making home-made baguettes! Please believe me when I tell you this is completely worth it. You might be thinking this was an ALL day affair but the recipe I am going to share with you takes a total of 3 hours and Voila! 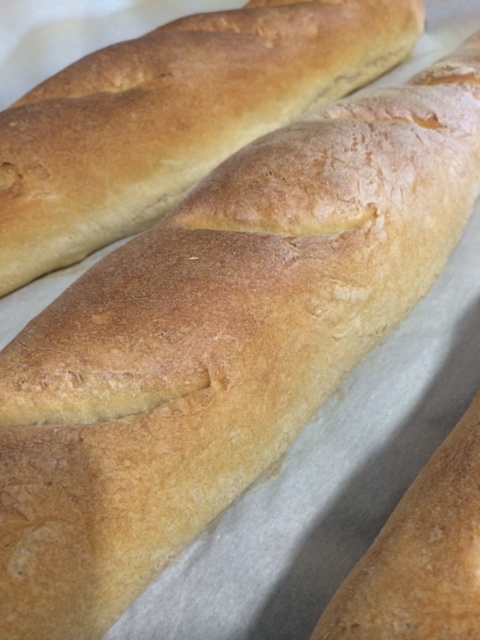 You have fresh out of the oven- delicious bread! It really is so simple and I am going to lay it out for ya pictures and all! 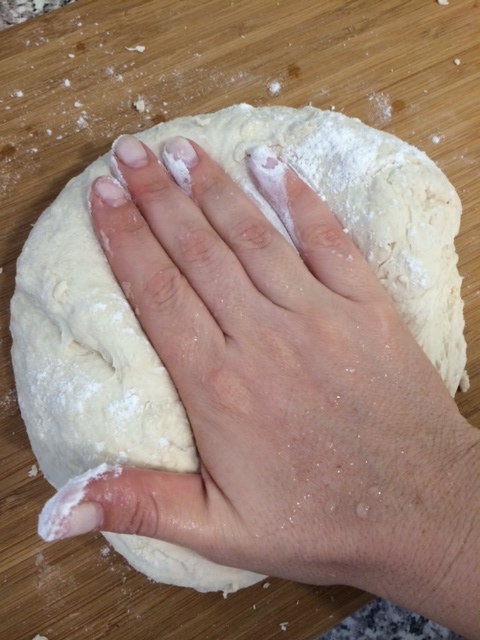 Baking bread by hand is enormously satisfying. The process is so simple. No, I did not use a kitchen aid mixer or a bread machine. I did this by hand and had the most delicious treat and heavenly smells all throughout my home since I returned from France. My house smelled like a boulangerie and lingered for hours after the baking had finished. There is literally a boulangerie on every corner in Paris and for good reason. The french LOVE their bread. A meal simply is not complete without it in their opinion. 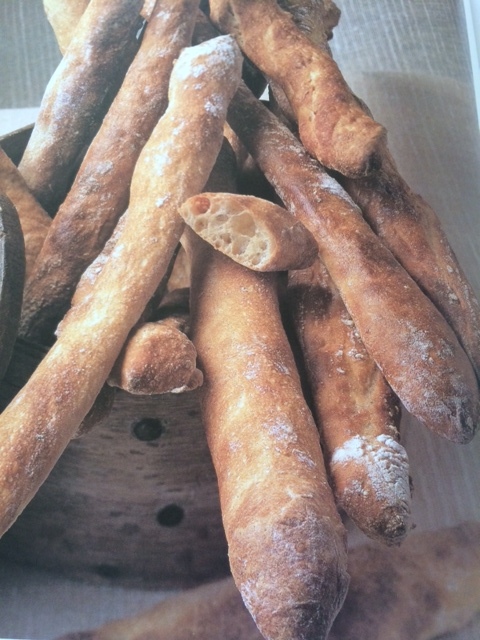 A baguette by law in France is flour, yeast, water and salt. To make something so delicious out of those four simple ingredients is nothing short of miraculous. Start with 4 1/3 cups All Purpose Flour. 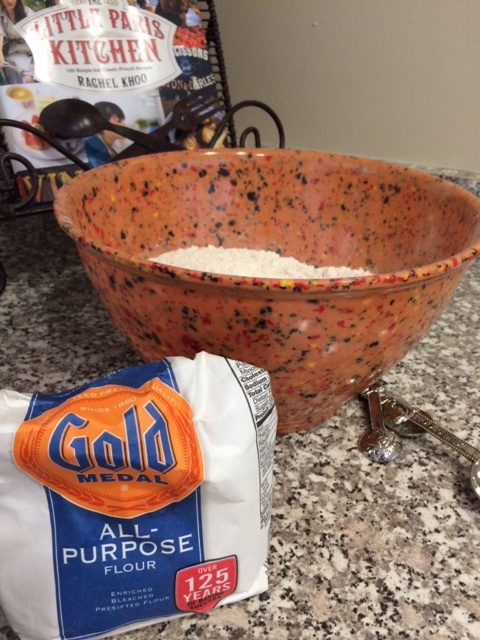 Add 2 tsp kosher salt to the flour. 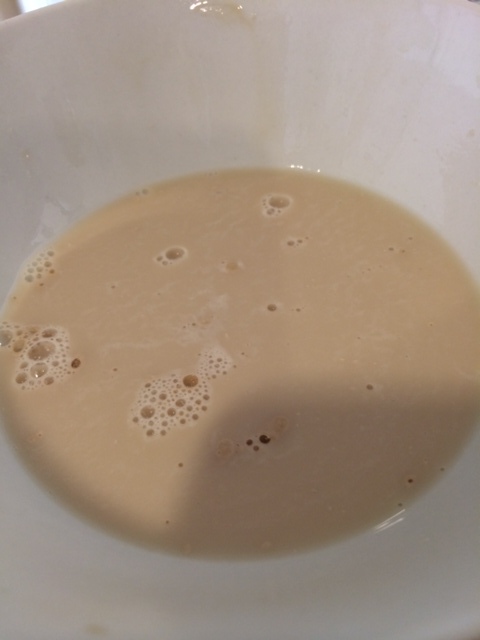 Next, you will want to dissolve 3 tsp instant yeast in 1/2 cup warm water. Make sure the water is luke warm if it is anything more than that it will kill the yeast and your bread will not rise properly. 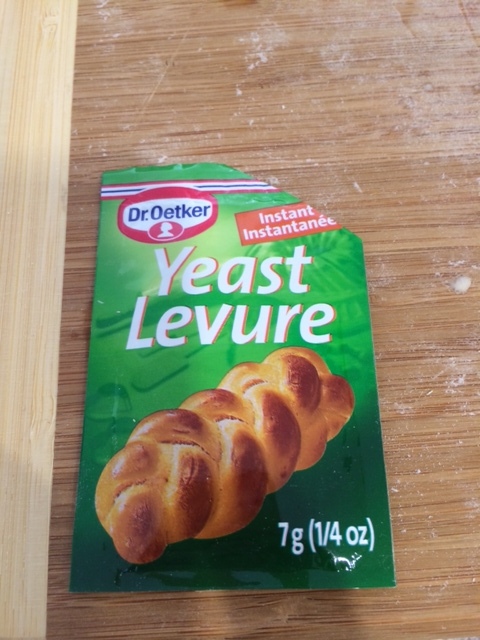 Next you are going to add this yeast/water mixture into the flour and salt mixture. 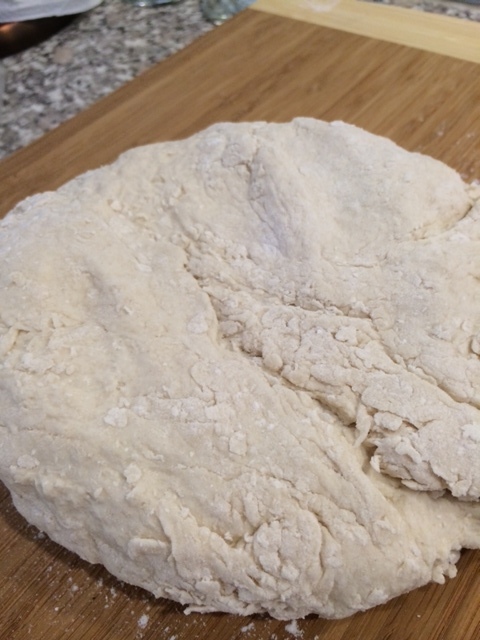 In addition add 1 & 1/4 cups warm water to flour. So you have a total of 1 3/4 cup warm water. 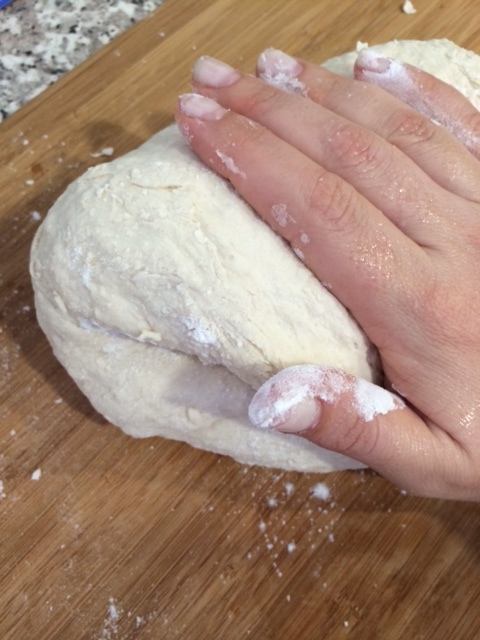 Place your hand and push the dough against the surface fold it over it self and repeat. It should feel smooth, a little sticky, hold together and spring back to the touch. Now, let it rest in a bowl covered with a damp cloth for approx. 1 hour (at room temperature). 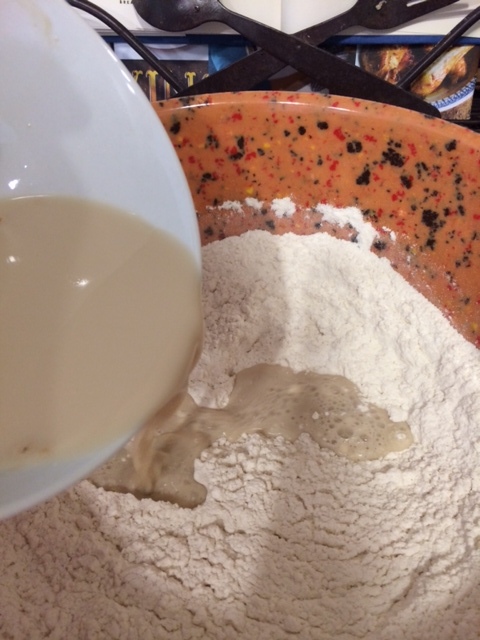 This is known as the fermentation stage where the yeast is interacting with the flour. 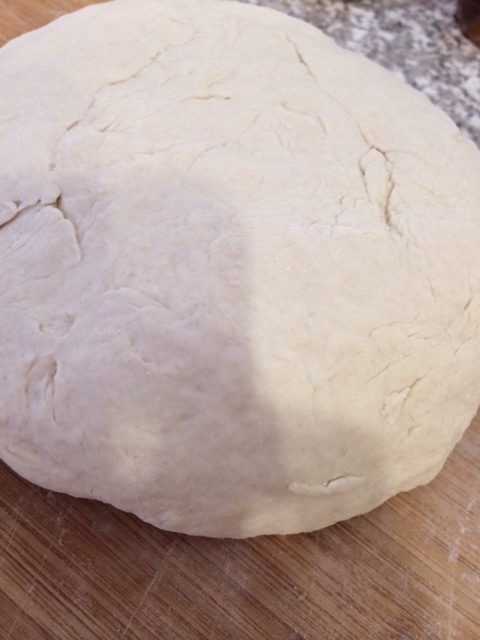 After letting it rise for an hour, you are now ready for shaping. 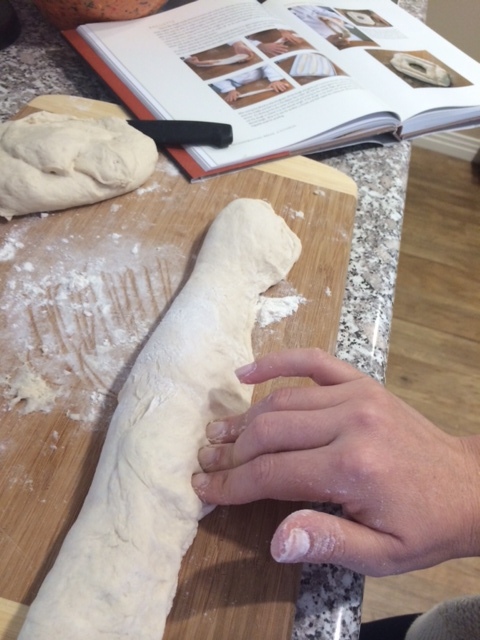 Take the dough onto a clean, floured work surface and “punch down or degas” This is a a term bakers use. This releases the air produced during the fermentation phase. Just literally punch the dough mound a few times. 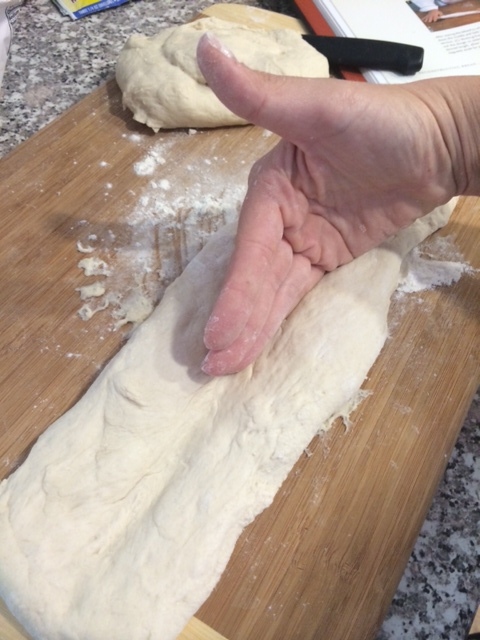 You want to flatten each portion into a long rectangle by pulling ends and then create an indentation down the center with the back of your hand. Then, you want to fold over the indentation from top to bottom (like a book) and seal tightly with your fingers. 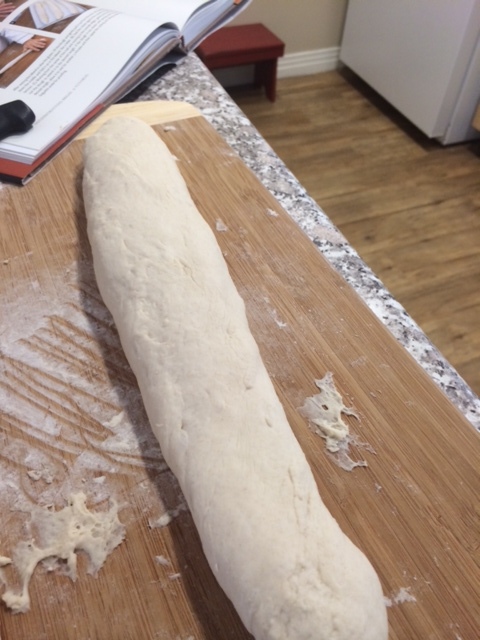 Roll over the seam until it looks similar to the shape of a baguette. 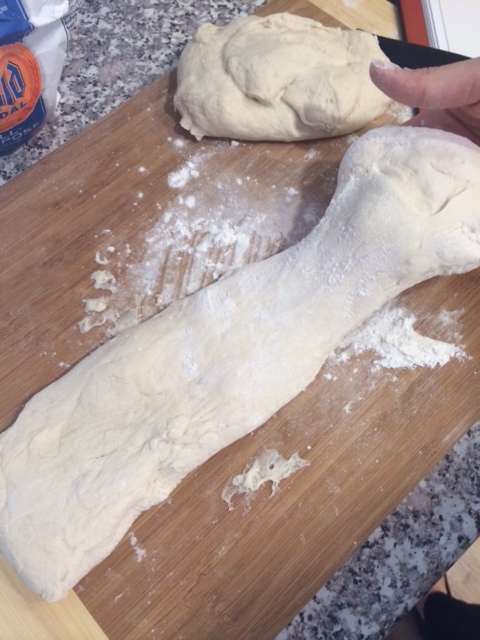 Do this with remaining two portions of dough. Place these three baguettes on a lightly greased parchment-lined baking sheet. Let rise a second time for 1 hour (at room temperature). This is known as the proofing stage. 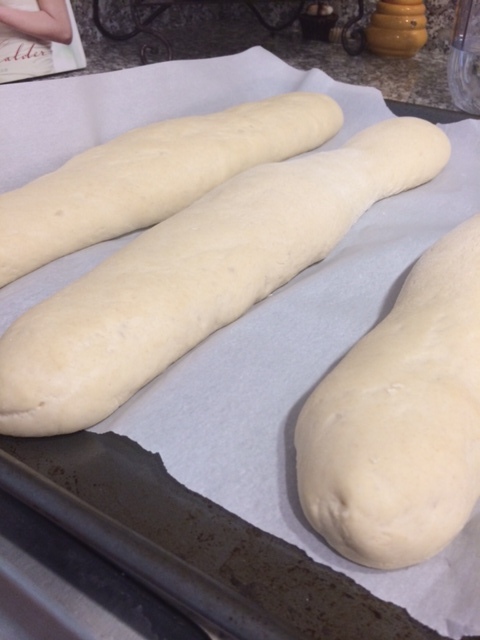 Meanwhile pre-heat your oven to 450 degrees F.
After an hour score your baguettes with a sharp knife. 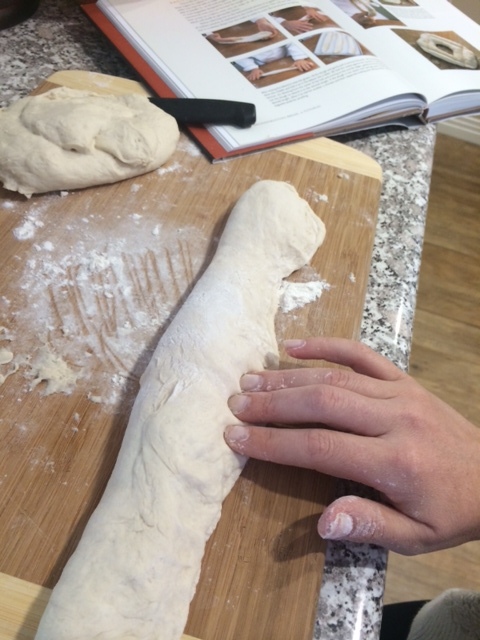 Put lines down the baguette diagonally. Now bake for 15 minutes at 450 degrees F. Drop oven temperature down to 400 degrees F and bake an additional 10 minutes. 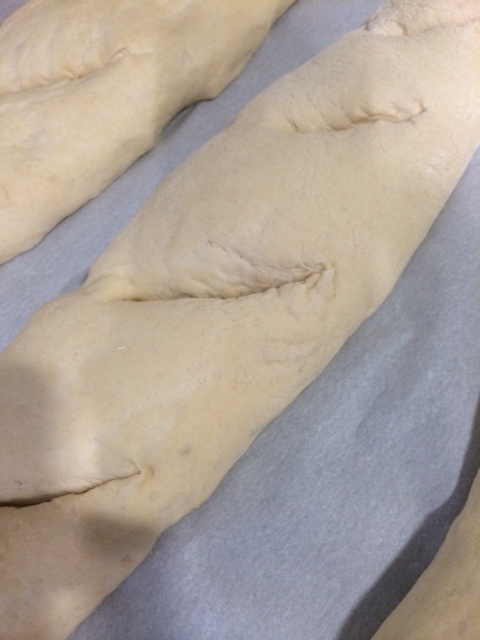 Allow baguettes to cool before slicing. Then slice and slather with jam. 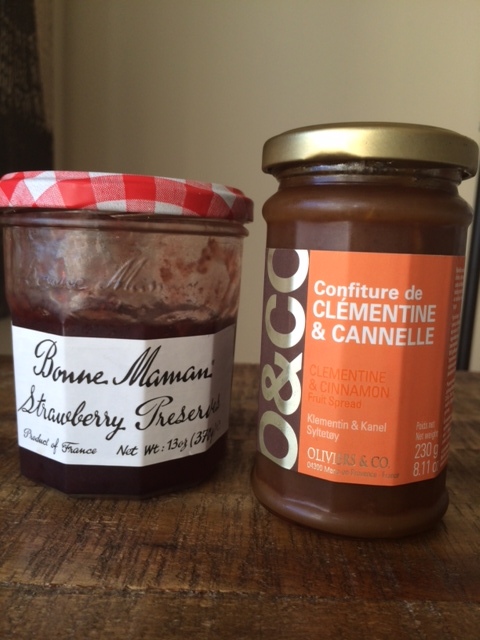 I have one from Paris presented here Clementine & Cinnamon- YUM! Also, Bonne Maman makes delicious flavors and that brand was sold all over Paris. I love strawberry. Honestly this made my Sunday. 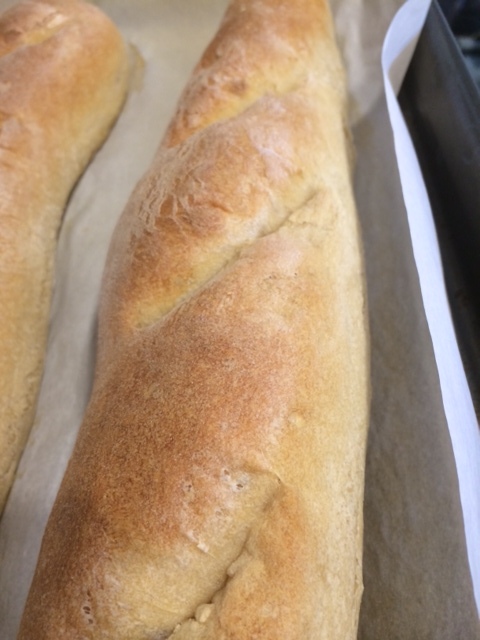 You really can make the baguettes and while you allow the resting process of fermentation and proofing you can be doing laundry 🙂 Once baked, you can also freeze individual portions and take out whenever you want. Bread will defrost at room temperature within 30 minutes. Evelyn! Me too… We could break bread together 🙂 and drink a little wine!! Krista, you make everything so easy and so much fun. You are short of miraculous yourself! Everything I have hesitated to do, you have shown me right here. I love you and your blog! Angie! Wow YOU and your words are so lovely! I am honored your reading and enjoying my posts’ xo thank you!